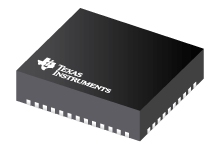 The TPS25810 is a USB Type-C downstream facing port (DFP) controller that monitors the USB Type-C configuration channel (CC) lines to determine when a USB device is attached. When the upstream facing port (UFP) device Type C-to-B dongle is plugged in, the port supports connection of Type-B receptacle devices such as a mouse, smartphones, keyboards, external hard drives, and so forth. As these devices monitor the USB 2 data line (D+/D–), the TPS2544 USB charging port controller can be added to provide the electrical signatures on D+/D– to support BC1.2 and non-BC1.2 compliant charging schemes. This application note presents the design solution which offers fast charging of popular mobile phones, tablets, and media devices over the USB Type-C port. 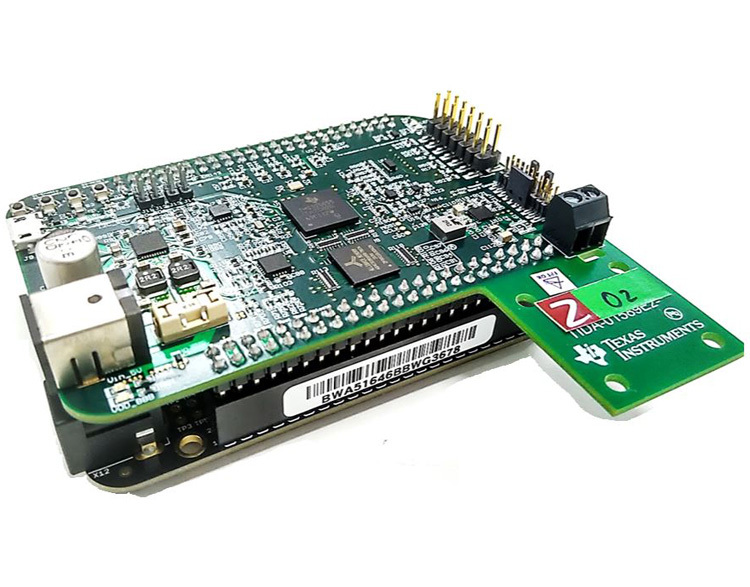 This application report documents different tools and methods that are useful while debugging issues with the video capture subsystem on the Jacinto6™ (DRA7xx) family of system-on-chip (SoC). This can be used as a diagnostic test to root cause most common failures in the video capture use cases. Residential smart meters are used for billing of electricity, gas, water, and heat. The technological advancements in these smart meters are being driven by the demand from utility companies to create a smarter and more efficient grid aimed at reducing non-revenue losses. More sensors are being added to collect more data about the status of the grid including pressure, temperature, etc. There is also a growing trend to incorporate higher precision measurements with newer technologies, such as ultrasonic flow measurements, which often end up adding to the overall complexity, reliability, and power consumption. These meters are also often part of radio-frequency (RF) communication networks that can draw a variable amount of power from the system depending on the required output power of their signal. A common need of any system is controlling multiple devices through digital logic. Systems continue to move to lower voltage nodes for power savings. 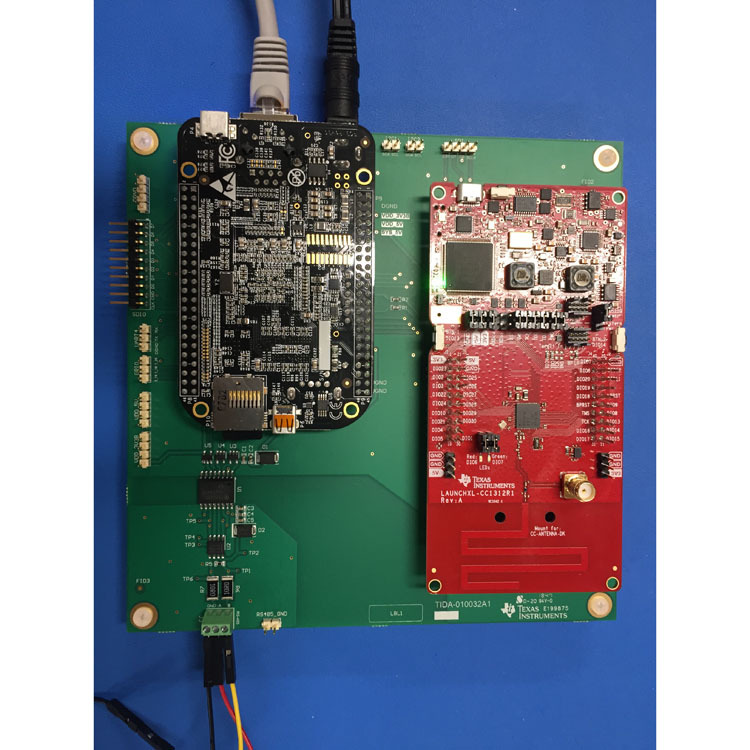 With this trend, using devices that are not natively compatible with the control logic of the system can lead to extra system costs through board size and BOM count. Also, the use of more components in the design of the system creates more opportunities for power sequencing issues. Using devices that have integrated support for the control logic of the system achieves a cost effective solution. In a RF system having the best possible range is important in many cases. There are many factors that can cause poor range. This application report provides a step-by-step guide on which parts of the design could cause shorter range than desired. Smart door locks have gained incredible momentum in the last few years. This is mainly because security, privacy and reliable connectivity have become ubiquitous bringing clear benefits with an easy use case model. Similar to smart thermostats, security cameras, and garage door openers, smart door locks bring added value to the users providing the ability to monitor the status of entry ways, as well as, selectively grant access to service providers. This application report covers some of the more common use cases for smart door locks and discusses tradeoffs between the approaches. With vehicle electrification increasing and as fully electric vehicles become more mainstream, the number of electric motors and digital power control systems in automobiles are expanding. Many of these systems require high-speed current monitoring circuits to ensure proper operation and to protect against potentially damaging overcurrent conditions. One of the most effective ways to accomplish this function is to employ a low side current shunt monitoring circuit. This application report discusses how linear Hall effect sensors can be used to measure 2D angles, including both limited-angle and 360° rotation measurements. This report provides details on some calibrated and uncalibrated implementations to help meet angle measurement accuracy requirements. This report also covers the number of sensors needed, and the preferred magnet types for each method. A recent trend has been seen in appliances (both large-home and small-home appliances) for moving from high-voltage (HV) motors to low-voltage (LV) motors for low power application (<100-W). This transition is due to availability of low power drivers which have the following advantages over high voltage systems. Electromagnetic Interference (EMI) is an unwanted coupling of signals from one circuit or system to another. EMI is separated into two different categories: conducted and radiated. Conducted EMI is a form of conduction coupling caused by parasitic impedance, power and ground connections. Radiated EMI is the coupling of unwanted signals from radio transmission. This application note covers the EMI performance of several different techniques using both printed circuit board (PCB) layout changes and additional external circuitry using the LMZM23601 step-down power module. The PCB layouts in this experiment include the following: original LMZM23601 EVM, EVM with top layer shielding, perimeter fencing with vias, via stitching, and input/output via fencing. Two additional alternative techniques used to mitigate EMI noise are the high frequency(HF) bypass capacitor modification and an input filter design. Large-screen HDTVs are selling in huge volumes over last few years, primarily driven by amazing improvements in picture quality & form factor (thinner screens). The form factor constraints from having skinny screens result in tiny built-in speakers that are undersized, under-powered and are typically aimed at wrong direction. Hence sound bars have exploded in popularity as complementary audio system by providing a sound experience that more closely matches the TV’s life-like pictures. In addition, with release of HDMI 2.1 specification we finally have a no compromise audio solution for HDMI as part of the eARC [enhanced Audio Return Channel]. One of the most important functions the eARC enables is sending audio signal both “upstream” and “downstream” over a single connection. As a result, with eARC the full resolution sound signals can be passed back and forth between your TV and audio systems with ease and without compromising sound quality. 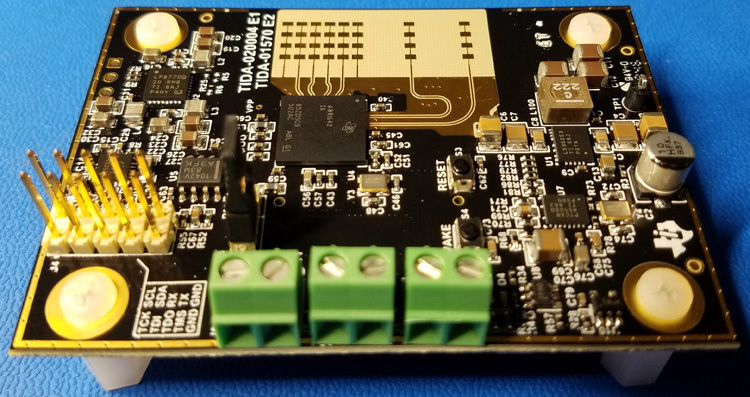 This application report helps TI mmWave Radar sensor designers navigate the series of tasks and key concerns when designing, manufacturing and validating a new mmWave sensor board. This document is only concerned with the RF portions of the design. It is beneficial for PCB designers that do not have experience with RF PCB design at mmWave frequencies. This document is applicable to sensor designs using IWR/ AWR mmWave Radar chips. HSR/PRP is Ethernet based communication technology commonly deployed in smart grid substation for low cost, easy to maintain and interoperable common network infrastructure with built-in redundancy. This application report presents the overview of HSR/PRP technology followed by HSR/PRP solutions on Sitara devices. TI’s PRU-ICSS technology with features like real-time and determinism allows Sitara devices to offer HSR/PRP solution. HSR/PRP solution is available as part of Processor SDK for Linux and RTOS. This document points to various collateral and resources available for customers to quick ramp on HSR/PRP solution on Sitara devices including PRU-ICSS technology. The LED171596A is an LED matrix driver that can individually control up to 96 LEDs. To control the 96 LEDs it uses four high-side PMOS switches and 24 low-side programmable current sinks. The driver has 9-bit duty cycle and 8-bit current control of each low side LED current sink. They can be individually controlled through the I2C-compatible or SPI interface. The individual LED brightness is internally multiplied with a global brightness-register value. This allows the control of all the LEDs at once with a single register or PWM input signal. This global brightness also passes through a brightness sloper function to create optically smooth brightness transitions without the need for multiple register writes. The RF sampling architecture is the main communication architecture in the telecom industry due to its improved system flexibility, higher signal bandwidth, higher density, and lower cost. This document will briefly introduce the architecture of the RF sampling receiver and the block diagram of the RF analog-to-digital converter (ADC). The goal of this document is to identify spurs generated after the RF sampling, like the harmonic spur and interleaving spur. In addition, the effect of the spurs due to the numerically controlled oscillator (NCO) and decimation are discussed in this document.